Know the chord structure and overall arrangement. Have a specific idea of how you want each song to sound and what instruments you might want to include. Work together or with a producer who can help you plan your album and give you an objective opinion about the sound. Be able to play and sing all your parts in you sleep, because the pressure of the microphone can make even the best musicians nervous. After you’ve practiced, practice again with a metronome, timing is critical to make your songs work. Pay attention to your intonation when you practice vocal parts, a bad vocal can kill a song quick. Get your head into the emotion of the song, this will give a vibe that can't be faked. This is especially important for vocals. The better you play, the less editing you will need, and that saves you time and money! Replace your guitar strings, and get your instrument sounding its best. Adjust your action and intonation to be perfect, if necessary have your guitar serviced before you step into the studio. 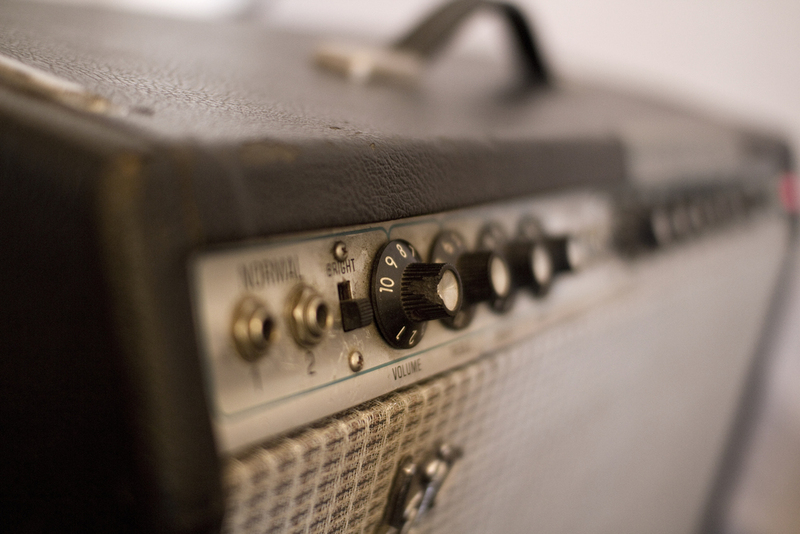 Get your guitar tone exactly where you want it, then the engineer can worry about capturing it. Replace all drum heads and have them tuned. Thinner, softer cymbals are ideal for the studio. Before vocal sessions, make sure to not strain your voice. Do not eat anything greasy, or drink caffeine or milk products a few hours before you will sing. Hot tea and honey are excellent for your voice. Be sure to warm up so that your voice is ready to make its best take. Getting great tracks sometimes means taking the time to make sure each instrument sounds right. Instrument adjustment, microphone position and preamp selection all may take some time to get right. Patience is essential through the recording process, and it starts here. In order to build the song correctly, your engineer will want to map out the song's tempo, arrangement and instrumentation. This will help everyone communicate better about parts, and to help make the right decisions about where to start recording parts. In order to get a general feel for a each song, the first session may consist of roughly recording each song as a map of where they are going. This is where the speed, structure and overall production of the song is laid out. This may be done by laying down a key part that can be built upon, or by tracing the whole band together. We want you to sound professional, so were are going to be picky about getting your tracks recorded right. We will have our ears peeled for emotion, intonation, timing and other problems to save you money in editing and mixing. We can give you as much or as little input as you want. Breaks and ending sessions early may also be needed in order to keep everyone on top of their game.